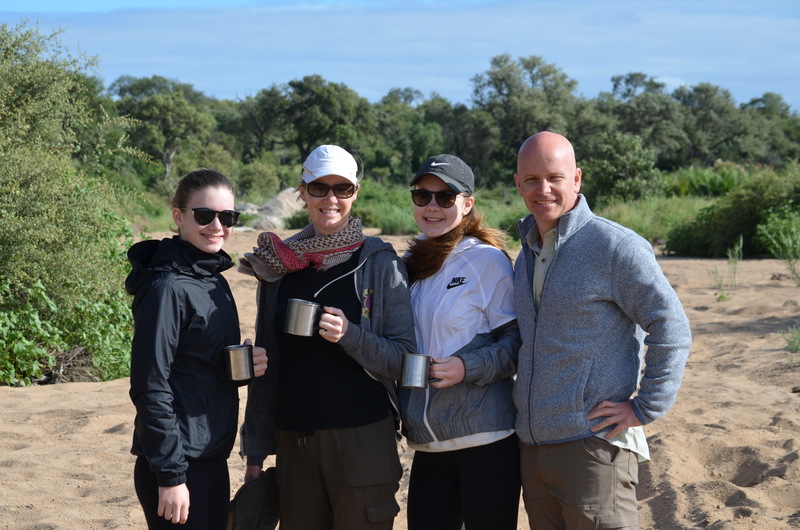 To celebrate Ray’s wife’s, Mary-Ellen’s 50th birthday, the family took an amazing trip to South Africa and went on a thrilling adventure of going on a safari. It truly was an unforgettable experience that his family will cherish for many years to come. My wife, Mary-Ellen wanted to go on a Safari for her 50th birthday. 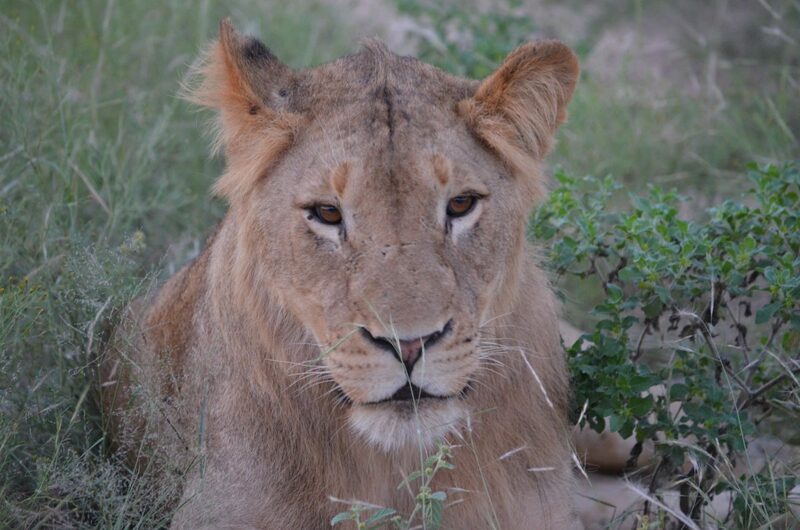 Given that we have close friends in Cape Town, we chose to go to South Africa and specifically the Kruger Park area. We ended up going on 2 safaris and had quite different experiences. First up, we went to Simbavati Hilltop Lodge www.simbavati.com . 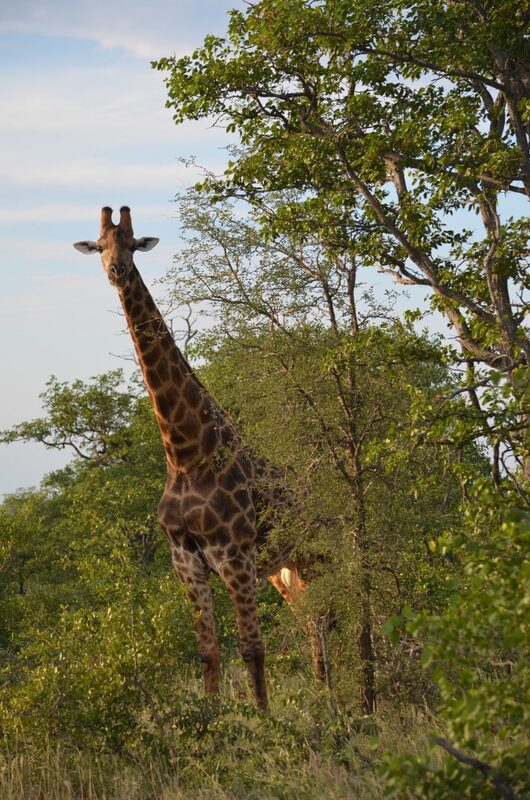 It was exactly what comes to mind when thinking about an African safari, raw, authentic and wild. Rough, rolling terrain, covered in bush and small trees, full of a diverse cross section of wild animals, birds and reptiles of all shapes and sizes, with no fences anywhere (which is why we had to be walked to our tents). 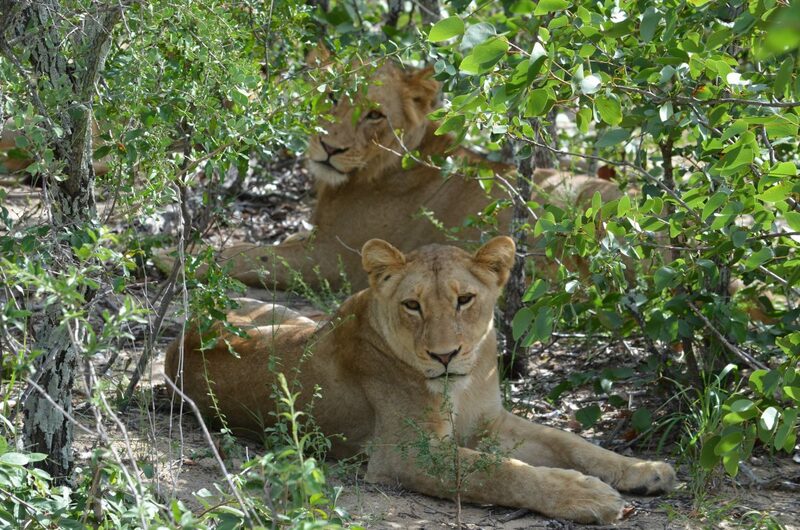 While some animals (prides of lions) are more territorial, most animals just roam through the area so each drive is very different from the previous one. Our transportation was a full size Land Rover that seats 12, which includes our guide/driver and our tracker/spotter, who sits on a seat mounted to the front hood. There are no doors, windows or roof, so you are out in the elements and we got very, very close to the animals. Apparently the animals see the vehicle as one big animal and they ignore us, as long as we stay quiet and seated with all appendages kept inside the vehicle. Our accommodation was high end glamping, permanent structures with canvas walls and roofs, full electricity and running water, no internet, and very comfortable! Cost was $400 Cdn per person per day, which included two 3 hour game drives, accommodation and all food and beverages. Being greeted by elephants as we arrived, who put on a show of playing in the river in front of us, even completely submerging themselves under water and then showering water everywhere! Watching 20 plus hyenas try to entice a pride of 10 lions from their recent kill, the sounds and dance performed was truly incredible. 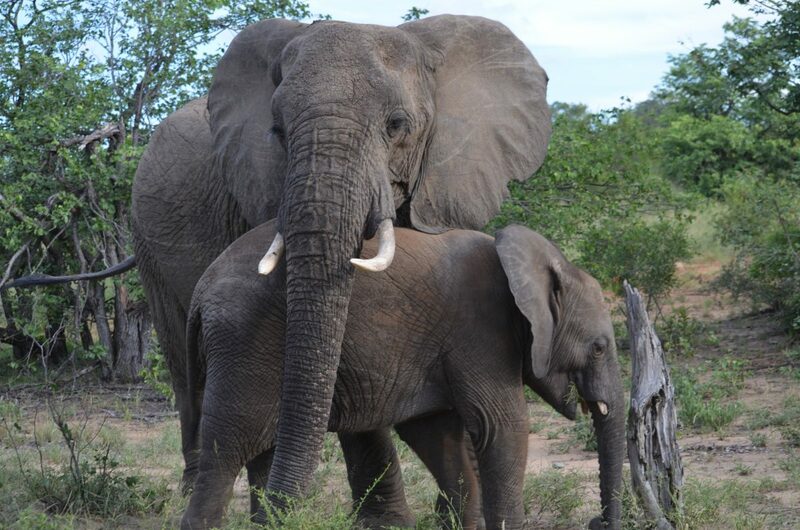 We were charged by a trumpeting bull elephant one evening on our drive home, that got the heart rate up! On a bush walk our guide and Willow walked around a tree and bush, I was a few paces back, trotting around the other side of the tree came a full size male leopard, that looked me in the eye and then ran off in the other direction, that is something I will never forget and gives me goose bumps every time I think about it. Next we went to the Kapama Game Reserve www.kapama.com . This was a totally different experience. 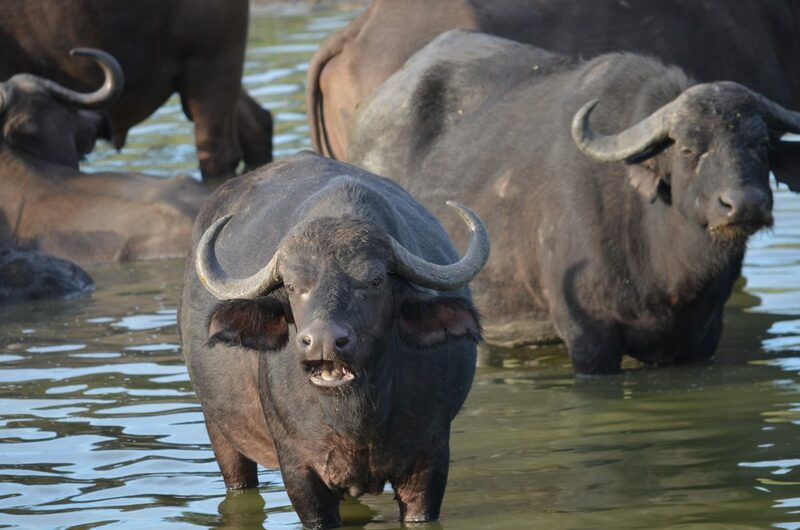 It is a fenced in game reserve, while very large and spacious for the animals, it does not feel as raw and wild. While the animals still are truly wild, i.e. there is never food or vet care provided, the guides do get familiar with the animals, their patterns and habits, which makes for more successful sightings but for us somehow it made it slightly less raw. 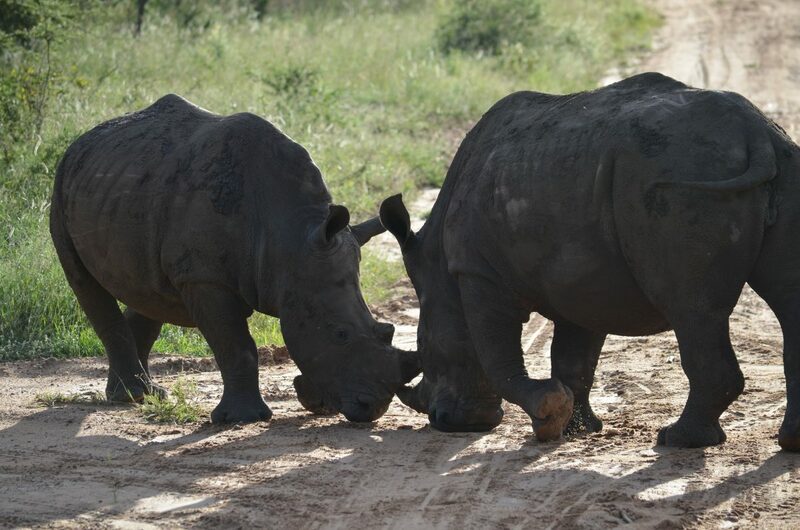 That said, seeing two adolescent female rhinos playing with each other was magical and a real highlight. I’ve tried a lot of different things in my life in many countries around the world, for me, the safari experience was unforgettable and something I will cherish, especially being able to share it with my family (except for my leopard 🙂 ). Highly recommend going if you have not done so, it is safe and exhilarating and well worth the money.